Armada Music and Toolroom Records recently announced a collaboration for future releases in the Benelux region. The move is part of Armada Music expanding into different territories and genres of music, enhancing and broadening their reach with the well-established Toolroom Records. Toolroom founder Mark Knight has cultivated a brand of deep, funk-infused house, which represents an exciting new frontier for Armada. Armada will be in charge of the Benelux releases of Toolroom, and both companies will be able to share ten years' worth of experience at the forefront of the dance music industry. 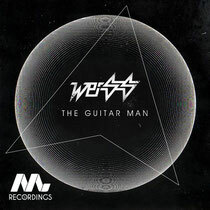 The first single, which has just been released on Beatport, is ‘The Guitar Man’ from British producer Weiss, who has seen major support from top DJs and BBC Radio 1 alike. The song is soulful and deep, with an enticing vocal hook. The two companies will also be releasing a co-branded compilation, and they will feature joint playlists on Spotify. Check ‘The Guitar Man’ below.